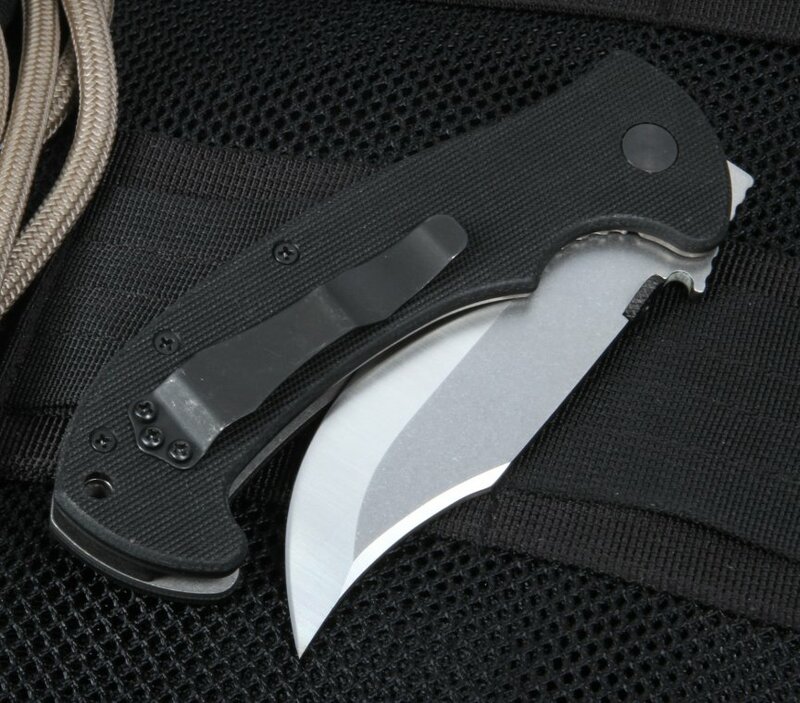 The Emerson CQC13-SFS Tactical Folding Knife with Partial Serrations is the first Bowie style folder designed by Ernest Emerson. Available at KnifeArt, the ECBF knife fits the user's hand like a glove and is the ideal choice for someone in need of a tough tactical folder. There's more than enough blade and handle here to meet any challenge. 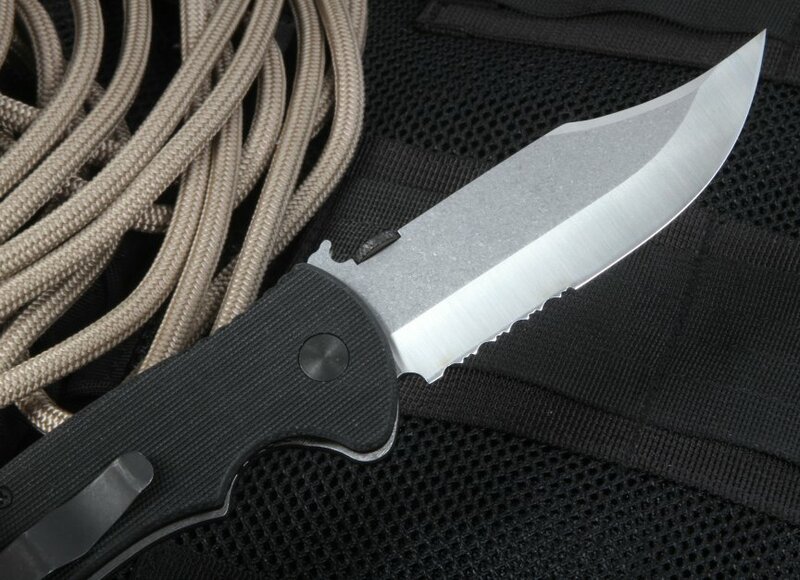 The combat-tested blade, mounted in a safe and secure G-10 handle design, is made of 154CM stainless steel and is 3.75 inches long. 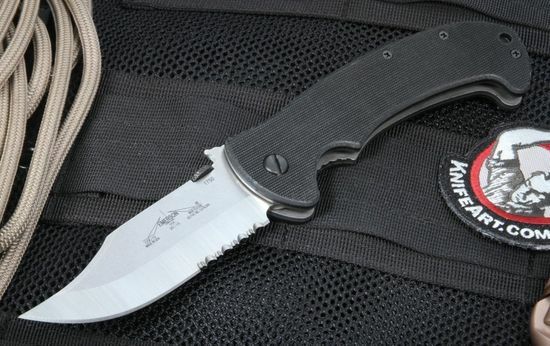 The closed size of the Emerson CQC12-SFS is 5 1/4 inches, and the knife weighs just over 6 ounces. 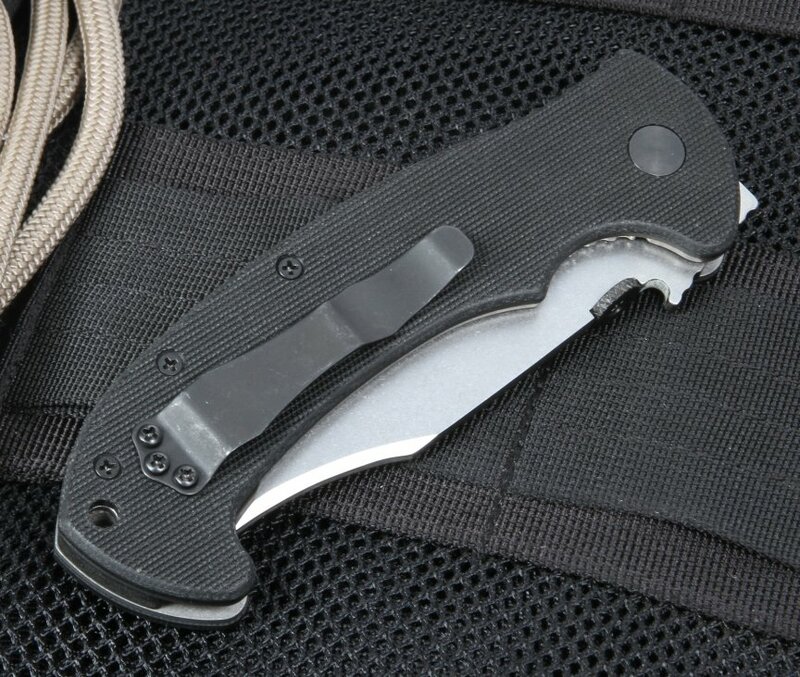 The CQC-13 series features the wave opening feature or remote pocket opener which Emerson pioneered. 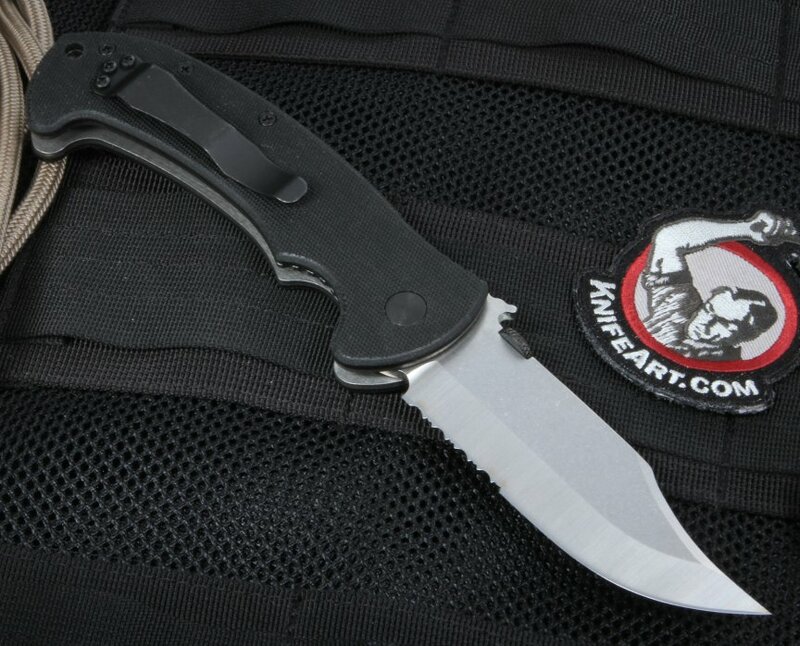 The knife can be opened with one hand as it is drawn from the pocket in an emergency.